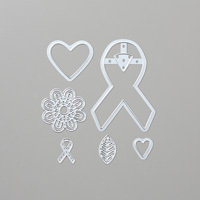 Ribbon Of Courage Wood-Mount Stamp Set | Breast Cancer | Stampin’ Up! Courage means so much to those who have it, and possibly even more to those who need it. 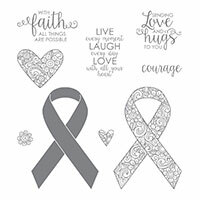 Partner these encouraging phrases with an adaptable awareness ribbon for truly courageous message. This stamp set was inspired by Million Sales Achiever, Patty Bennett.